When doing sports, it is just as important to rest as it is to train, stretch as it is to run, relax as it is to tone up. 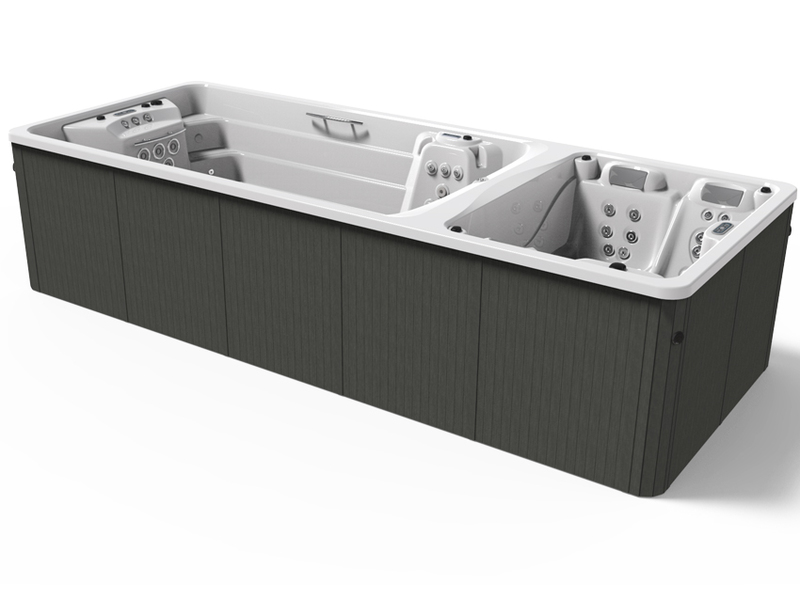 As a result of what we have learnt from our customers, we have created the Swimspa Duo, with its wealth of possibilities and high flexibility, and with such compact dimensions that it can fit almost anywhere, indoors or outdoors. And from what you see or hear, to what you simply perceive: the Swimspa Duo comes with Aquavia Spa’s exclusive features, which significantly improve the experience and ensure the long life of this exclusive equipment: water disinfection using an ultraviolet light (UV); Metal Frame chassis by Aquavia Spa with non-deforming, anti-corrosive and highly durable properties; and the EcoSpa option, the thermal insulation system that guarantees energy savings of 69% when maintaining the water at 38ºC, even outdoors and in extremely cold temperatures. 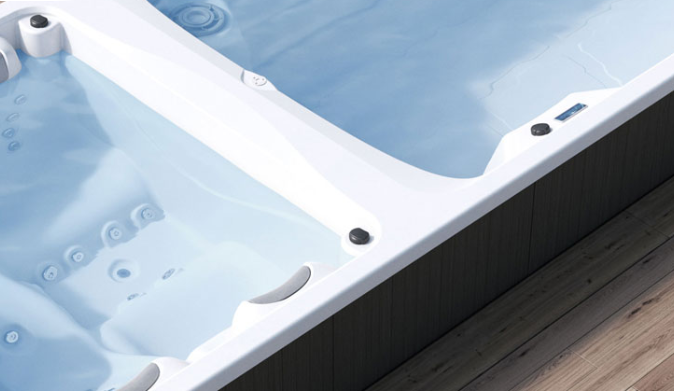 Weight of the hot tub: (empty/full): 1.500 / 8.500 Kg.